The Boat Chute was designed and constructed by the founder of Lake Winnepesaukah, Carl O. Dixon. Built during the winter of 1926-1927, it was the first ride in the park and remains one of the most popular rides today. 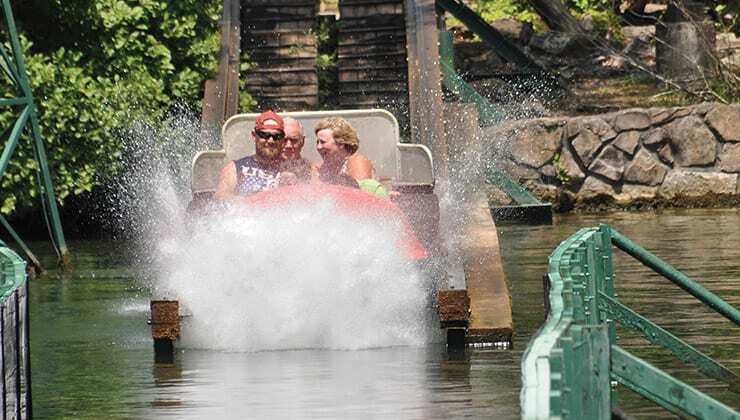 The Boat Chute is the oldest mill chute water ride in the United States according to the National Amusement Park Historical Association. This is an intense ride and is not suitable for young riders or those with health conditions. Riders under 48 inches tall may not ride this attraction. This ride is not recommended for riders with heart problems. This ride is not recommended for riders with back problems. 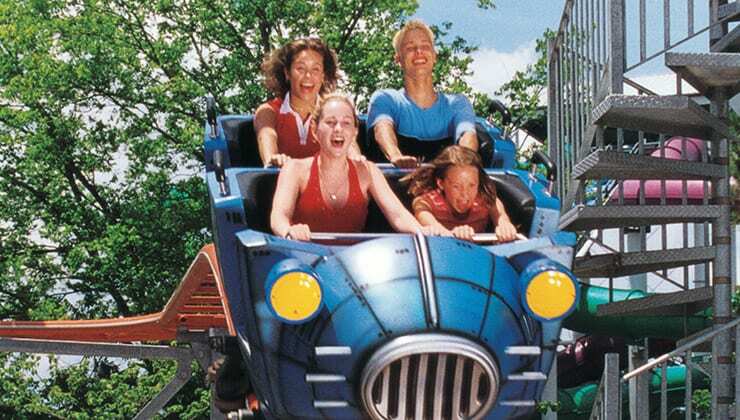 This ride is not recommended for riders with neck problems. This ride is not recommended for riders who are or may be pregnant. Drive, turn, & slam! 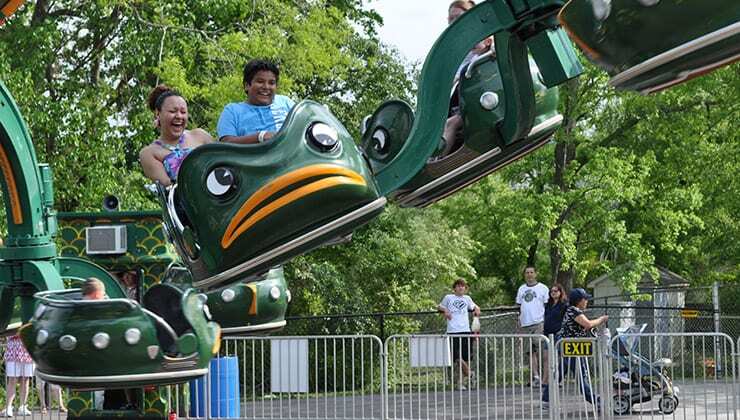 The Bumper Cars at Lake Winnepesaukah are a wild ride and a chance for family & friends to have some fun bouncing into one another as hard and fast as they can. Designed and engineered especially for Lake Winnepesaukah by the Philadelphia Toboggan Company and John C. Allen. Built in 1967, The Cannon Ball is 2,272 feet long, with a vertical drop of 70 feet reaching speeds of up to 50 mph. One of the finest wooden coasters in existence and feel your heart race as you speed around its mighty track! Lake Winnepesaukah is proud to present “The Conestoga”! 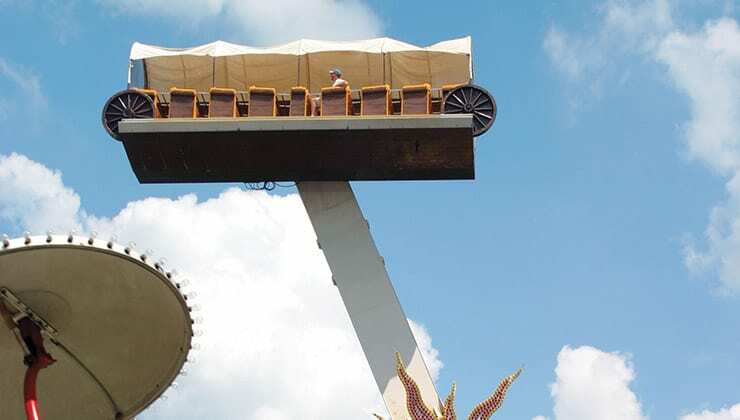 A gravity-defying ride up to the very treetops and then back down again, this energetic ride will have guests screaming with delight at every drop. 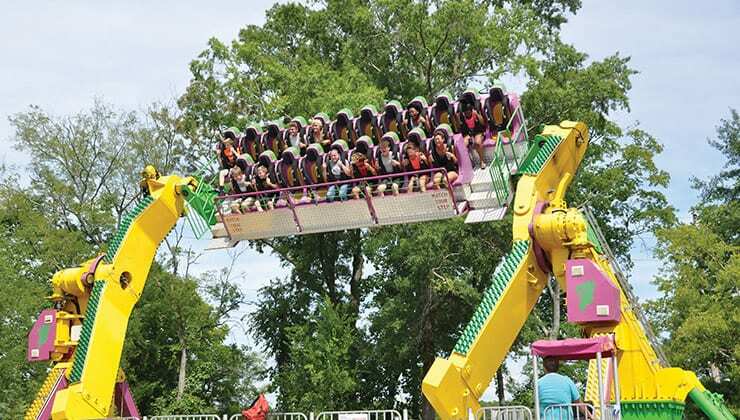 Flip upside down over and over, forwards and backwards on Lake Winnepesaukah’s newest thrill ride, the Fire Ball! Back by popular demand, the Genie thrills with breathtaking action as guests are lifted into the air and turned ‘round and ‘round. At 140 feet, the OH-Zone! is the tallest ride at Lake Winnepesaukah. The OH-Zone! 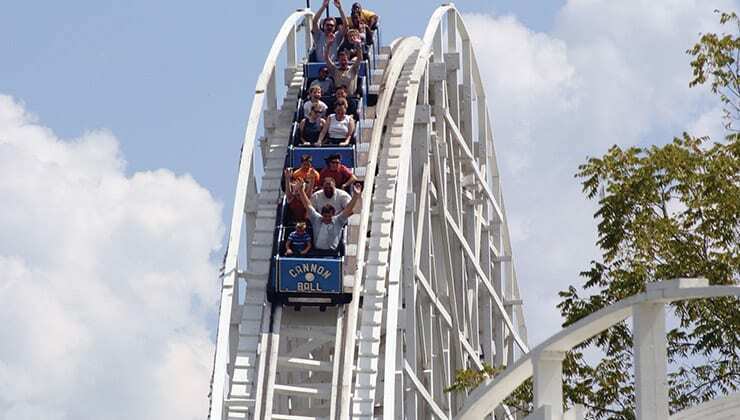 drops riders down 14-stories at a speed of fifty miles per hour! This offers guests a 14-story freefall at a breathtaking 4.6Gs. Closed toe or fastened shoes required. No flip flops. 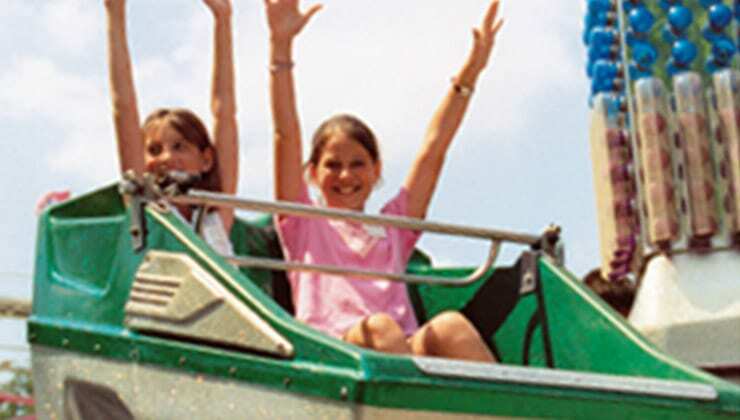 This is an intense ride and is not suitable for young riders or those with health conditions. Riders under 42 inches tall may not ride this attraction. This ride is not recommended for riders with heart problems. This ride is not recommended for riders with back problems. This ride is not recommended for riders with neck problems. This ride is not recommended for riders who are or may be pregnant. 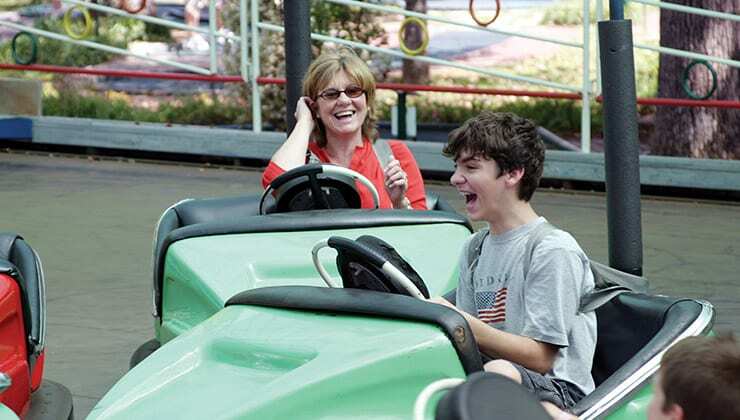 Experience a ride that’s out-of-this-world! The Orbiter sends guests spinning and whirling like nothing else in the world. Twisting and turning, rising and falling, laughing and screaming … a ride on Orbiter will never be forgotten. 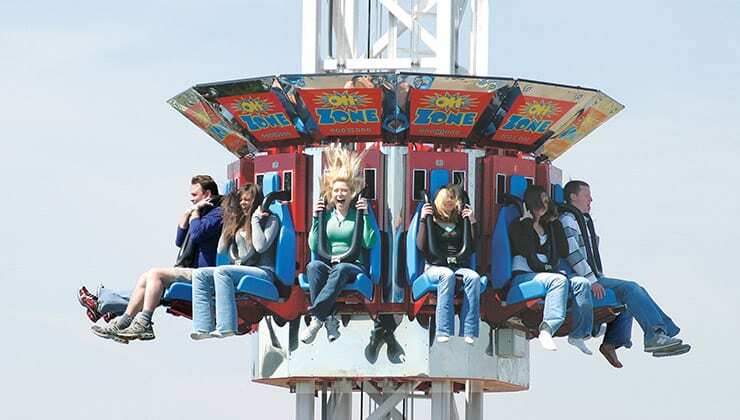 This is an intense ride and is not suitable for young riders or those with health conditions. Riders under 54 inches tall may not ride this attraction. This ride is not recommended for riders with heart problems. This ride is not recommended for riders with back problems. This ride is not recommended for riders with neck problems. This ride is not recommended for riders who are or may be pregnant. Arrr, mateys! Are you ready to ride the rough and tumble seas like never before? 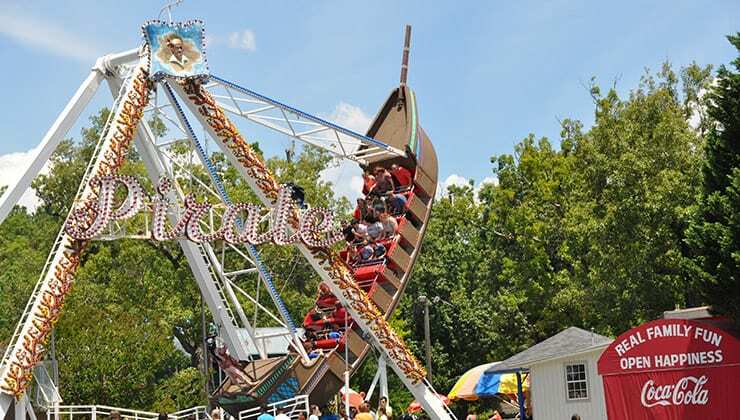 Take a voyage aboard the Pirate and feel your ship swing and sway through one of the roughest squalls ever to hit the waters of Lake Winnepesaukah. 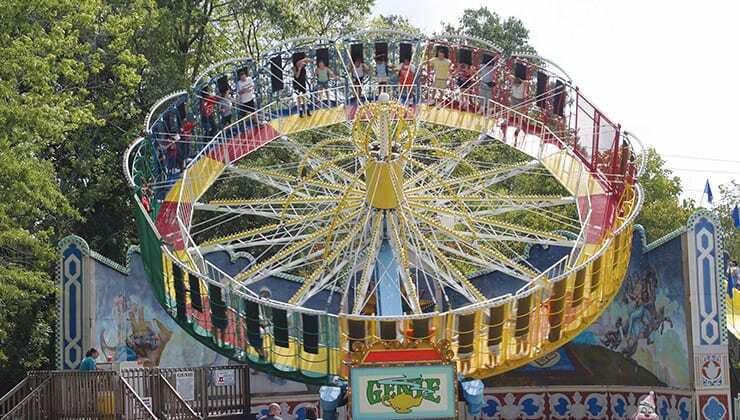 This popular thrill ride has found a home at Lake Winnepesaukah, sending riders spinning, dropping, sinking and soaring with excitement! Guests are whisked into the wicked whirls of the Twister. 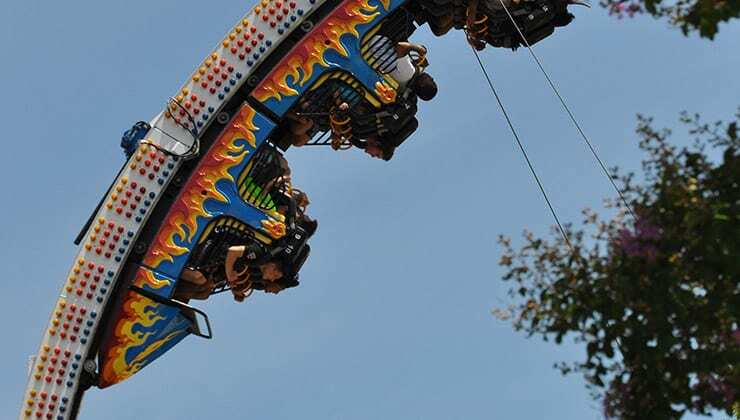 This thrill ride promises breathtaking action as they are lifted, turned and somersaulted into the sky. This is an intense ride and is not suitable for young riders or those with health conditions. Riders under 57 inches tall may not ride this attraction. This ride is not recommended for riders with heart problems. This ride is not recommended for riders with back problems. This ride is not recommended for riders with neck problems. This ride is not recommended for riders who are or may be pregnant. A wild coaster ride aboard rails of steel that takes guests through twists, hairpin turns, drops, and curves like nothing else on earth.